This site #PW157MDH2, is in Mondol Hut No. 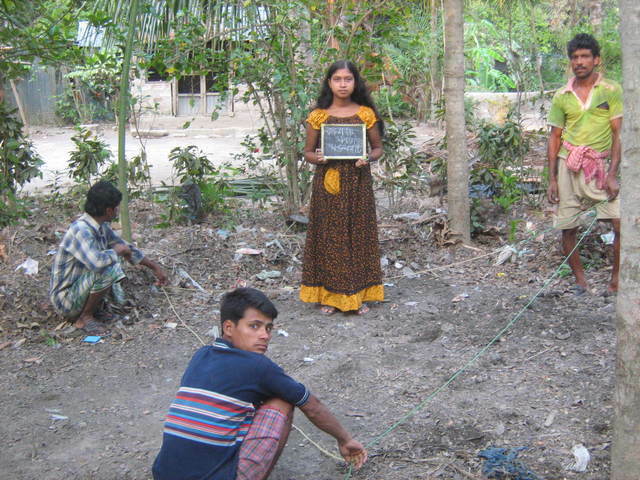 1 Coloni (village) of Chakdah block of Nadia district. Kalachand Sarkar donated the site for the community. GIVE THE THOLIN AND SARBEY. Projector program is ok. Good water, 64 people . According to the register record of July 2011 the total consumers=191; Families=44; Male=99, Female=92, children <5 = 11 and students =59. 21 families are using this source. Register is not created yet. 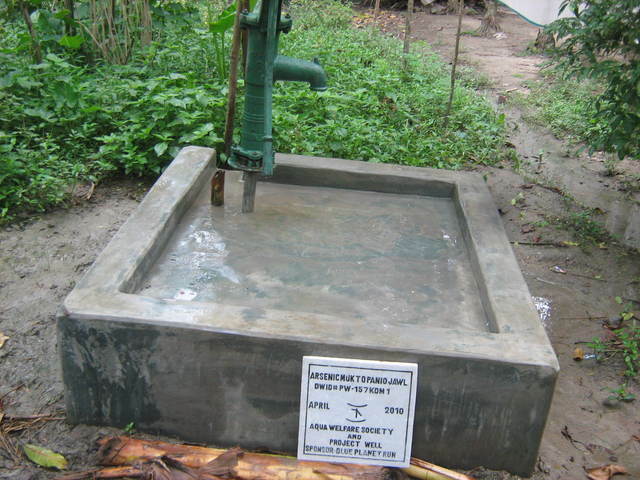 Update Sept 2010: 7 families are using water from this source for drinking & cooking purposes. Registers are being created and will be available soon. 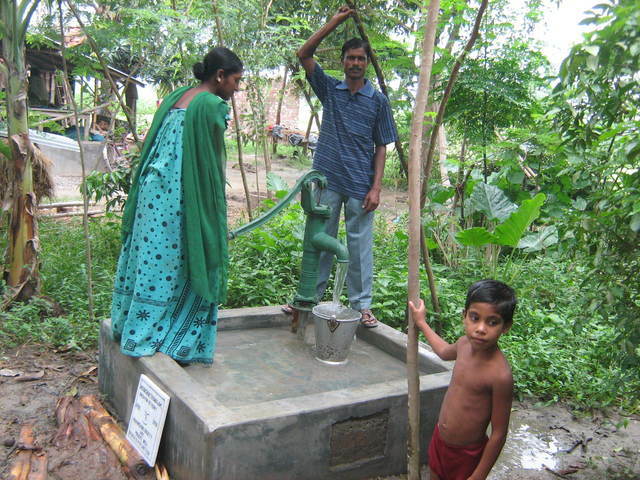 Aqua Welfare Society, AWS, is the partner NGO of Project Well. Their office is based in the North 24 Parganas. The 7 honorary board members are located in Kolkata. There were only 5 field workers who were interacting with the villagers and beneficiaries, training the users on maintenance of the dugwells, organizing village meetings and health meetings. This year four more field workers including a management trainee have been contracted due to expansion of the program to other districts like Nadia and Murshidabad. A technical advisor of AWS is based in Kolkata who visits the village occasionally and one awareness programmer who is in charge of awareness programs in the communities and educational institutions. There is an accountant and also a data entry person on part time basis.